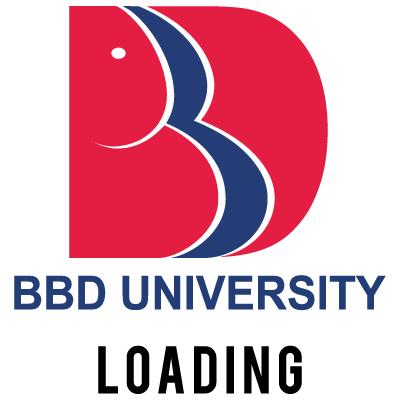 Venue: Conference Hall, BBD University, Lucknow. 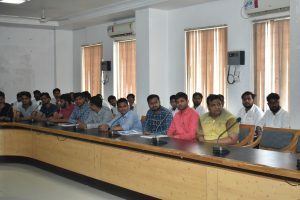 A Guest lecture was organized by Civil Engineering department, SOE, BBD University on Thursday, dated 04/4/2019 based on Topic: “Lucknow Metro, A dream come true”(Discussion on various aspects of civil engineering in Metro Construction). 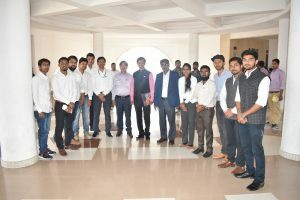 The Guest Lecture was delivered by Mr. Sushil Kumar, Director of Operations, Lucknow Metro Rail Corporation Ltd. Guest Lecture basically was for discussing roles of Metro in Today’s world. 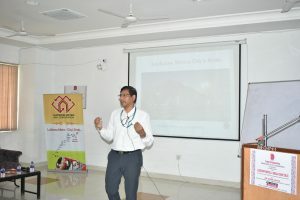 Various aspects of civil engineering in Metro constructionwas discussed under this lecture. 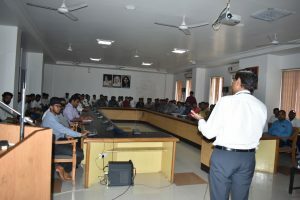 The lecture also focused on various latest trends and modern Construction Techniques and Construction materials used in Metro construction. Safety measures for both engineers and other workers was also discussed during the Lecture. Discussed various Career opportunities for students in upcoming Metro projects. Also guided Students how to prepare themselves to today’s scenario of Metro construction and various tools, software and other technical skills that are important for them from their career perspective.